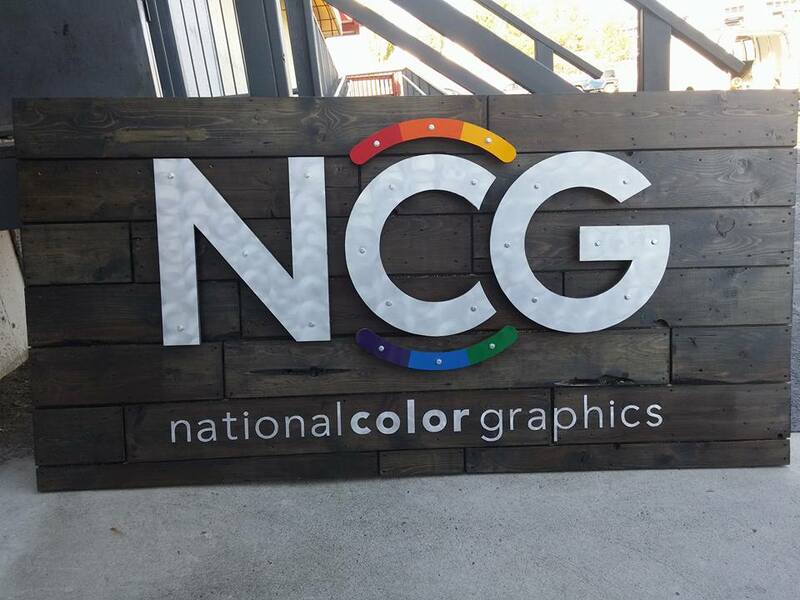 A very important component to the Brand Refresh was our new sign, designed and built by NCG’s very own Aaron Harris and Kraig Kochel. 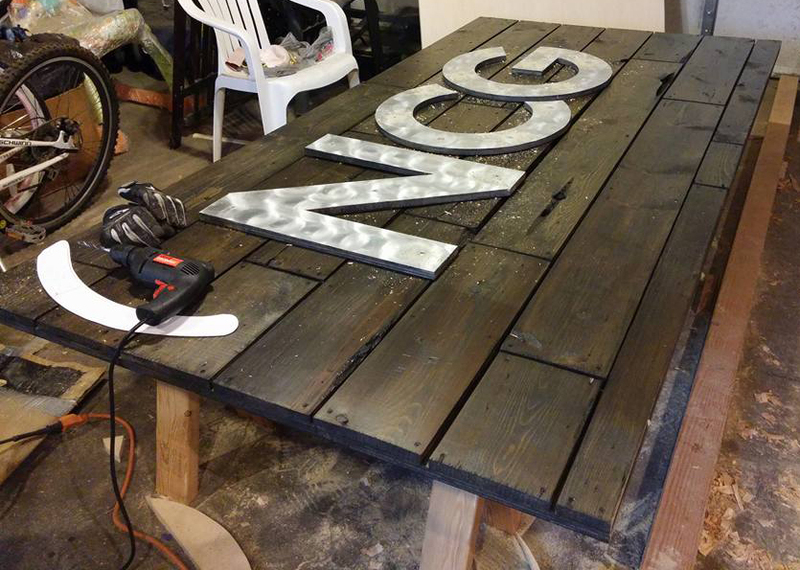 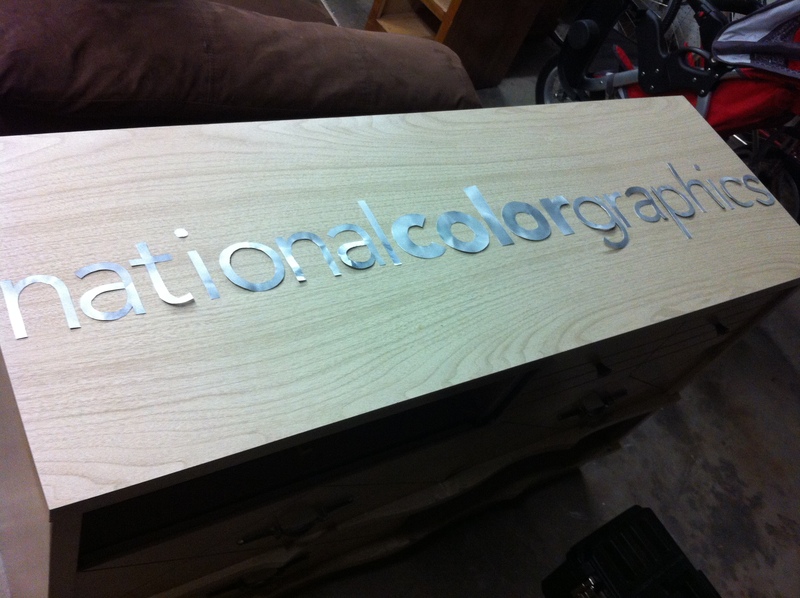 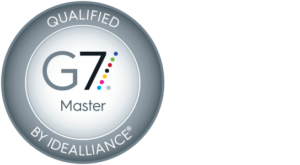 The sign was made using mostly recycled materials and Low-VOC finishes to continue our commitment to the environment. 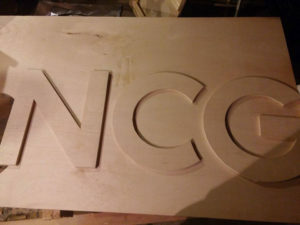 First the sign was designed in a 3D program, SketchUp. Once materials were gathered and purchased, Kraig scuffed up the recycled metal printing plates, then trimmed out using a sharp utility blade. These letters were then the templates for Aaron to cut the letters out of plywood. 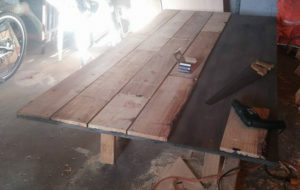 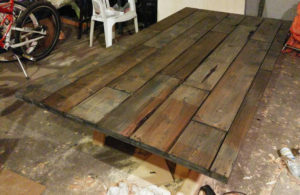 Recycled pallets were then broken down, and given a sealing coat of deck stain. 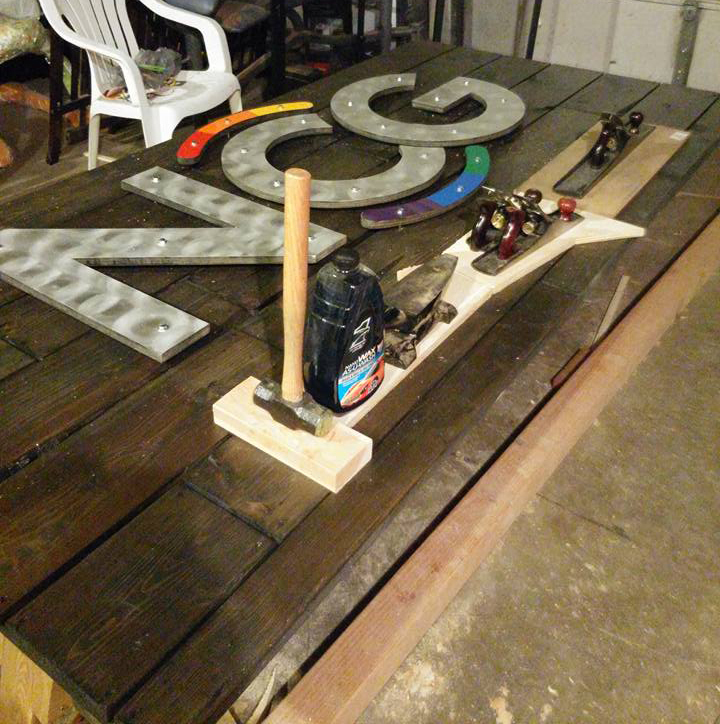 Once dry, the pallet boards were attached to the plywood base and the entire wooden portion of the sign was given several coats of waterproof deck stain. 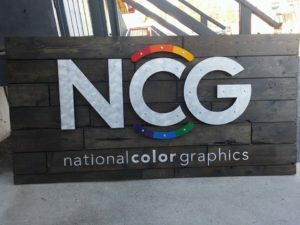 The metal letters and swooshes were painted and sealed with a waterproof clear coat then mounted to the board with 1 inch spacers to provide dimension and depth to the sign. The smaller letters were then glued to the sign. 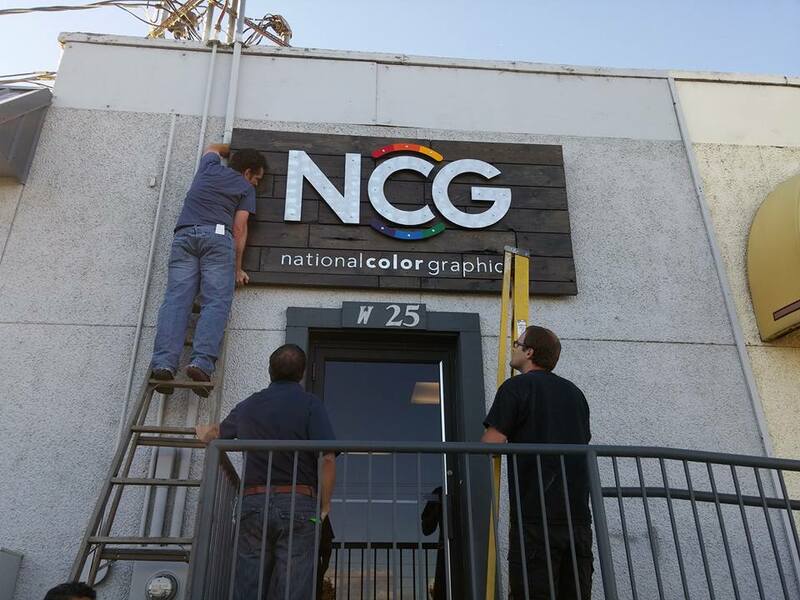 Once completely dry, the sign was brought over to National Color Graphics and hung where the old sign was located. 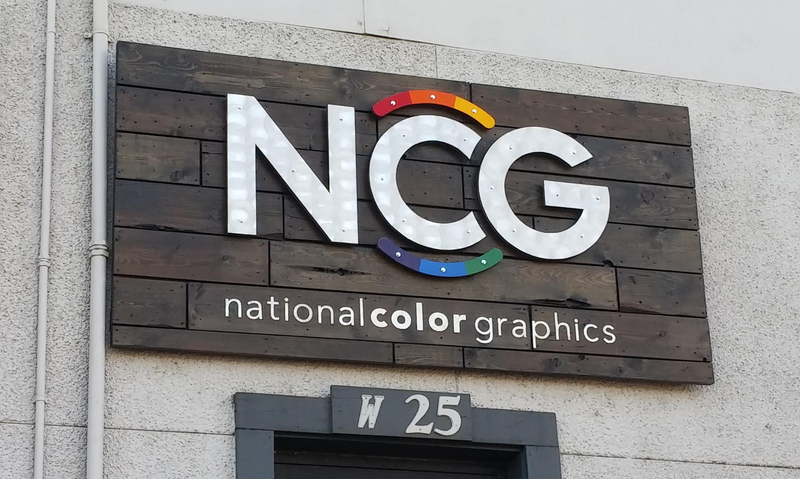 Stay tuned as we continue the conversation about what’s goin’ down at NCG!